Owen Quinlan’s interest in ceramics focuses on the innate geological and archaeological attributes of the medium. Rather than exploring utilitarian or functional aspects; his glazed surfaces are the result of an ongoing research into the rocky, molten and primal forces which are at play at the centre of the ceramic process. 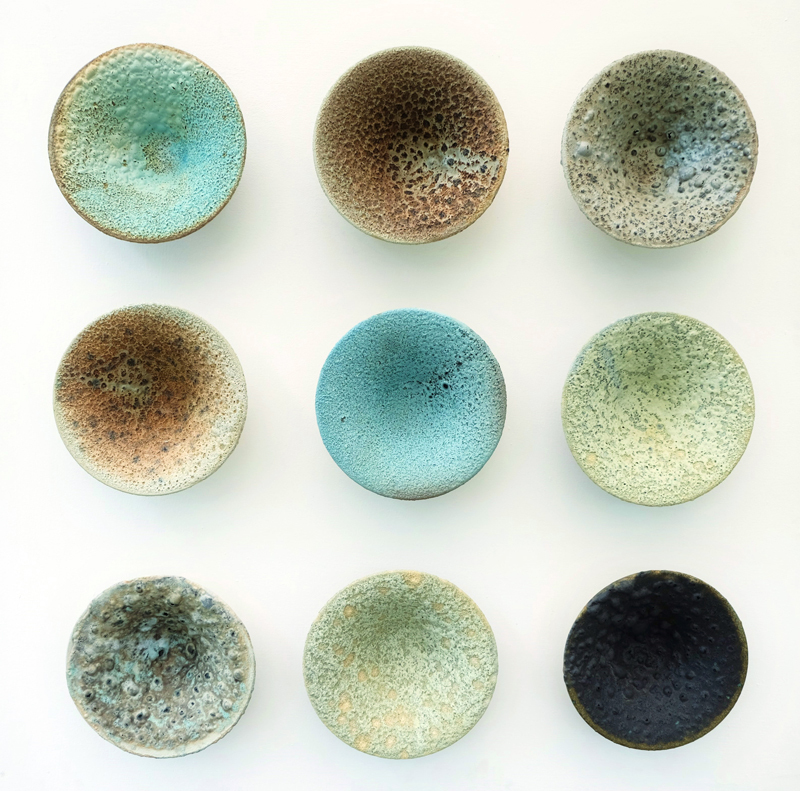 His wheel-thrown wall forms are an interpretation of the Laboratory petri dish, upon which he continually tests for new instances and outcomes. As they document evolving combinations of material layers in relation to the firing process, they form the basis of a growing experiential understanding of these geological origins. Owen Quinlan is a graduate of The Centre for Creative Arts & Media GMIT Galway, Cardiff School of Art & Design, and the Crafts Council of Ireland’s Ceramic Design & Skills Course. He has exhibited widely and had a solo exhibition at the National Centre for Craft & Design, UK in 2012. In 2013 he received both the Crafts Council of Ireland’s Future Makers Practitioner Award for Innovation and the Mill Cove Gallery Award. He has recently been chosen to represent Ireland at European Ceramic Context 2014 in Denmark. He will also exhibit as part of ‘Centered’, an exhibition of Irish ceramics which will coincide with the International Academy of Ceramics 46th General Assembly, taking place in Dublin in 2014.